The town of Lauderdale-by-the-Sea in Broward County remains a snorkeling and scuba diving paradise, attracting plenty of residents looking to enjoy the waterfront ambiance and the town’s various activities which also include fishing. With tourism as its main industry, vacationers often keep summer or winter homes and Sky230 may become the next in demand community thanks to its numerous upscale qualities. Sky230 is a collection of 29 waterfront townhomes built with the finest levels of luxury, finesse, and sophistication. The smallest homes have 4,500 square feet and come with several opulent features that turn each of these homes into an architectural tour de force. Four level elevators and ten-foot ceilings are just a sample of the grandeur that lies within. 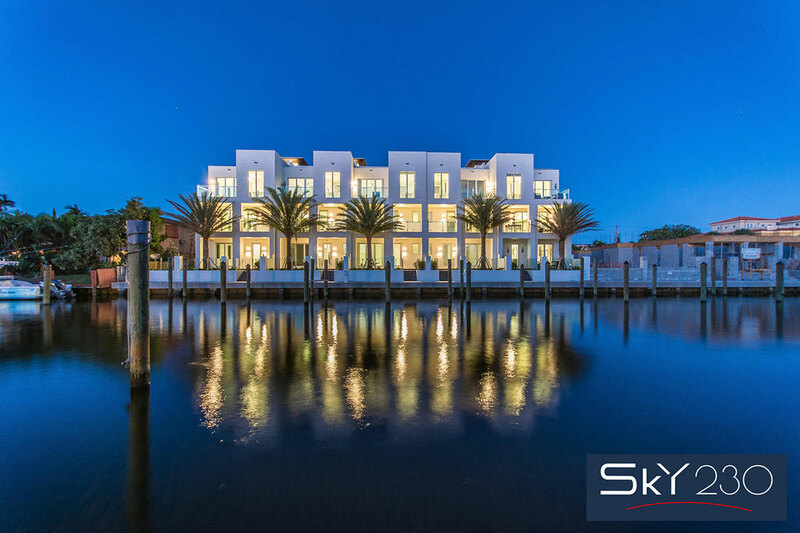 Features at Sky230 include a private boat dock with deep water access, stunning views of the Silver Shores Waterway, private two-car garage, balconies and patios with marble tiles, plus much more. Inside the home buyers will find quartz countertops, eight foot solid core entry doors, and a private hydraulic elevator that provides access to each of the floors as well as the rooftop. Speaking of the rooftop, there is a terrace that overlooks the oceanfront and the Intracoastal. Sky230 amenities include a custom-designed pool fenced in with glass, lushly landscaped courtyards and a water feature. It is barely fifteen minutes away from Fort Lauderdale-Hollywood International Airport and the Las Olas area.